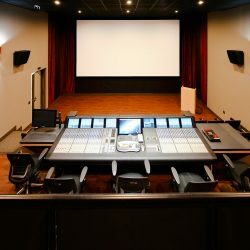 Production companies like Spang TV face many challenges, including sound control, when constructing a space. 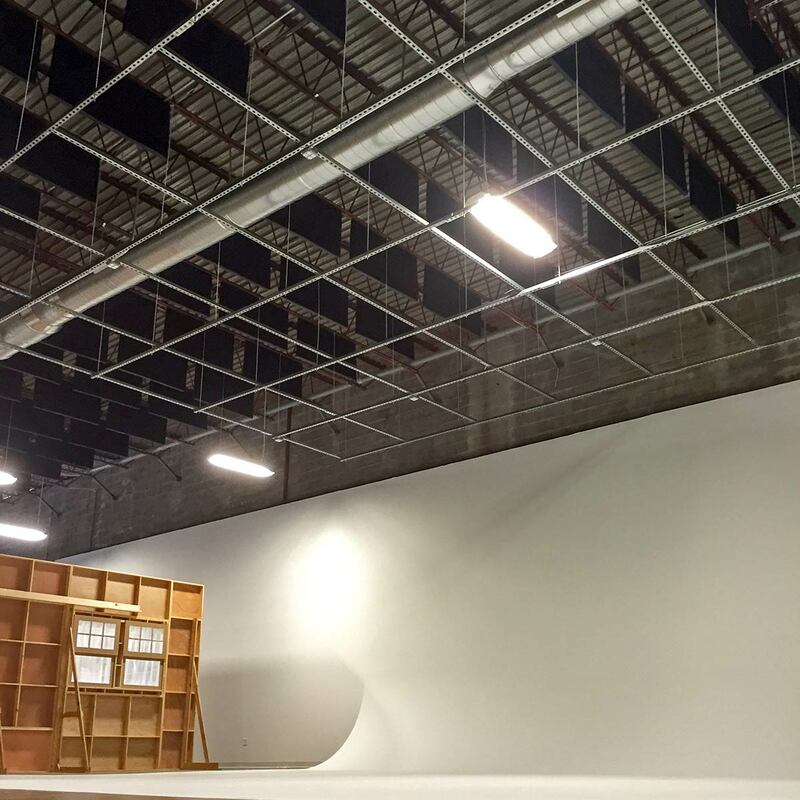 The facility requires plenty of room for set creation, cyclorama walls and room for plenty of equipment and props. Lighting is of paramount importance for acquiring high quality images and video. 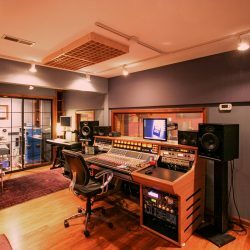 For capturing accurate and clear audio, proper acoustics are equally important. 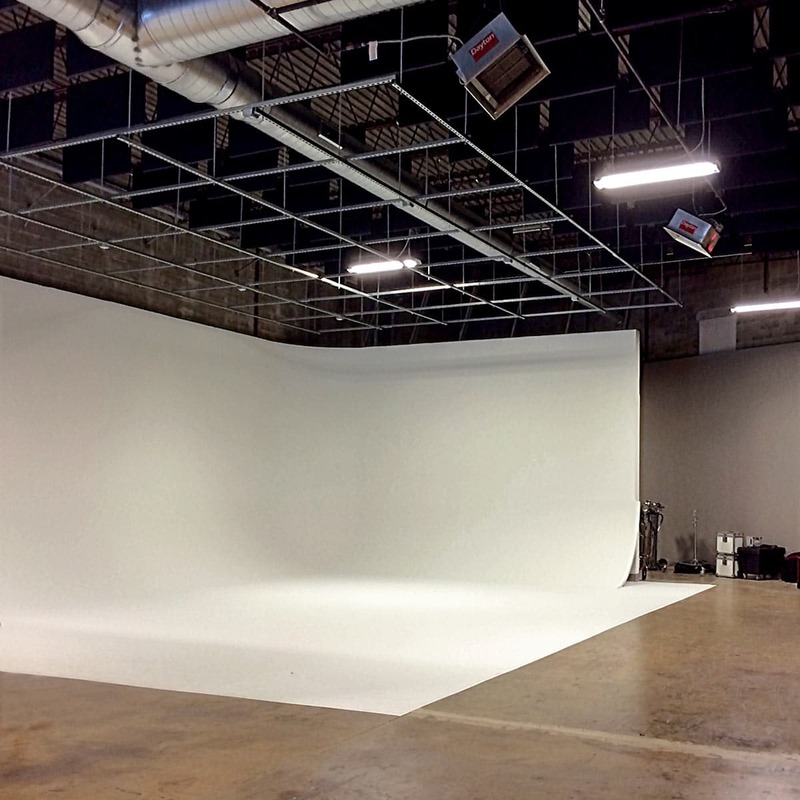 Spang TV, a Richmond, Virginia based commercial production company, moved in to an 8,000 square foot warehouse. 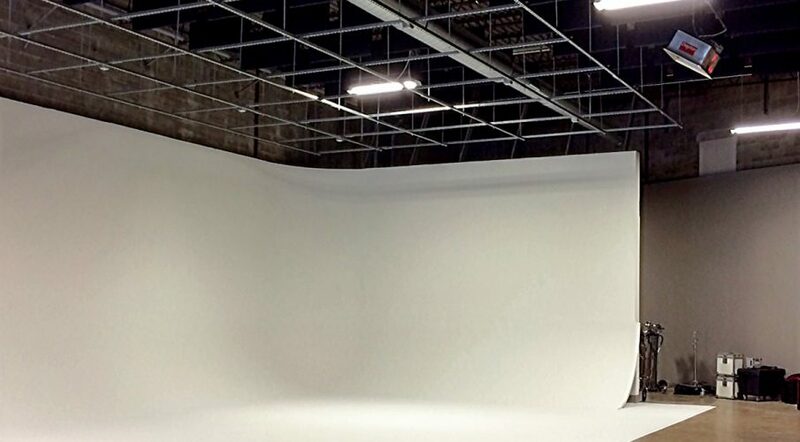 The plan was to convert this space into a premier sound and film production facility. Spang TV was faced with quite an acoustical challenge with such a large space. 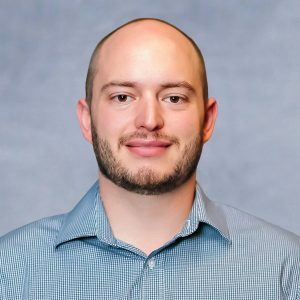 Jordan Rodericks, the Senior Producer at Spang, called on Acoustical Solutions to help determine the appropriate approach to treating the space. The structure of this 150′ x 50′ x 21′ high room is comprised of all reflective material like concrete block, concrete floor and metal roof decking. 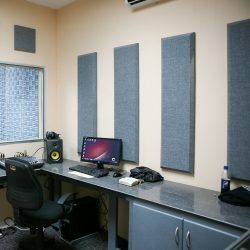 Upon the initial site visit, Acoustical Solutions estimated the existing reverb time in the room to be approximately 6 seconds, which is quite reverberant and noisy. This makes it difficult to communicate efficiently on set. 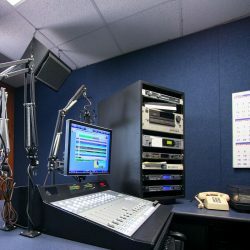 Additionally, for audio recording, you want the reverberation time to be as low as possible to capture the audio of your subject and not the room. 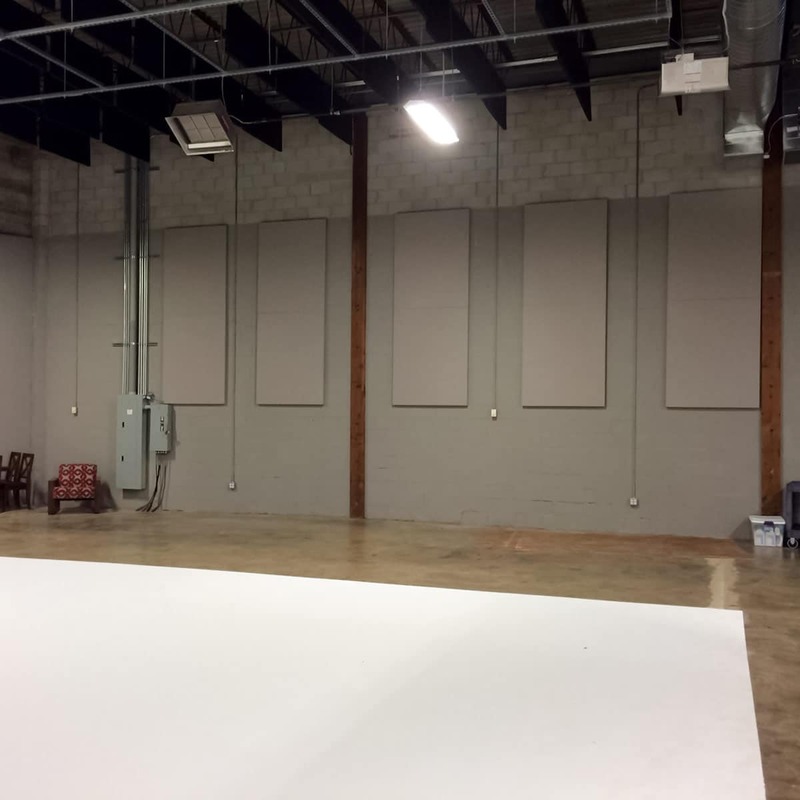 Acoustical Solutions faced the challenge of providing enough material to lower the reverberation time while remaining in budget. 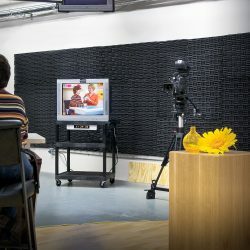 Spang TV wanted acoustical material to solve the problem, without being visually distracting. The project budget was also a concern. 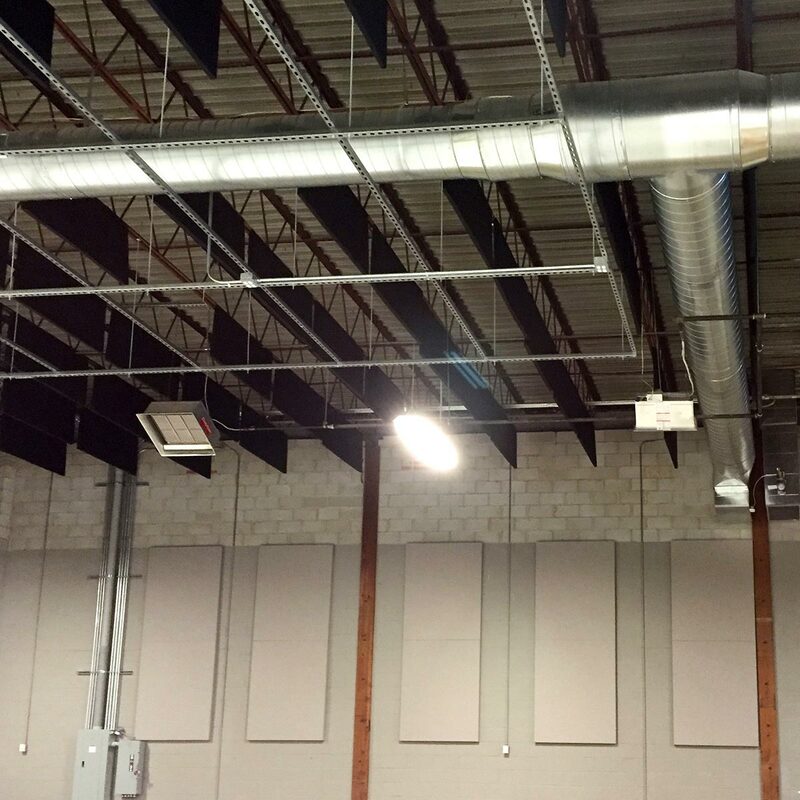 To address these issues, Acoustical Solutions recommended AlphaEnviro® PVC Sound Baffles to treat the large open ceiling truss that spans the entire room. 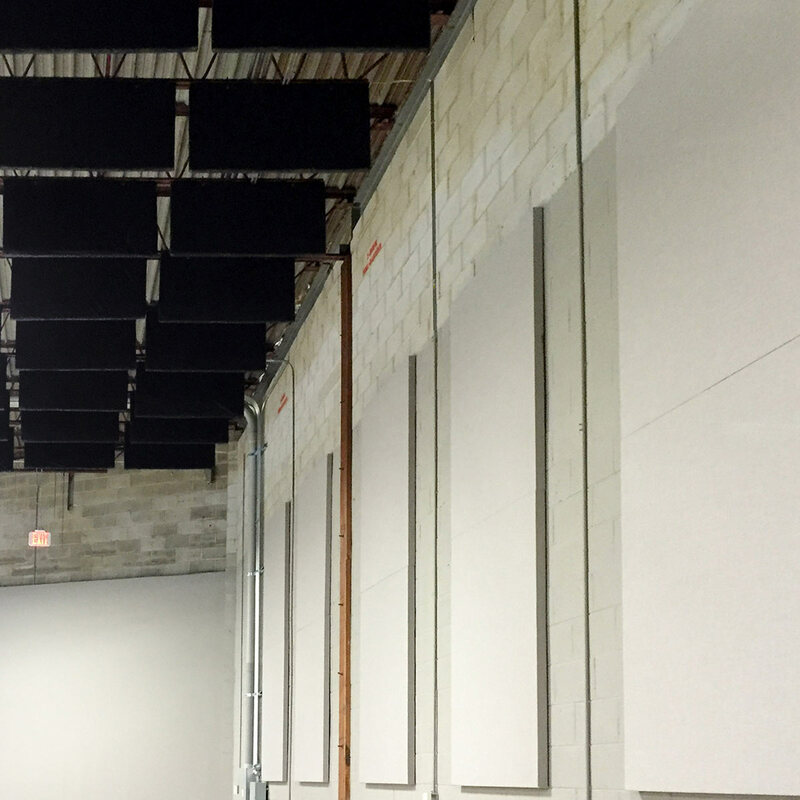 The AlphaEnviro® PVC Sound Baffles are an exceptional choice for reducing reverberation times in large spaces. 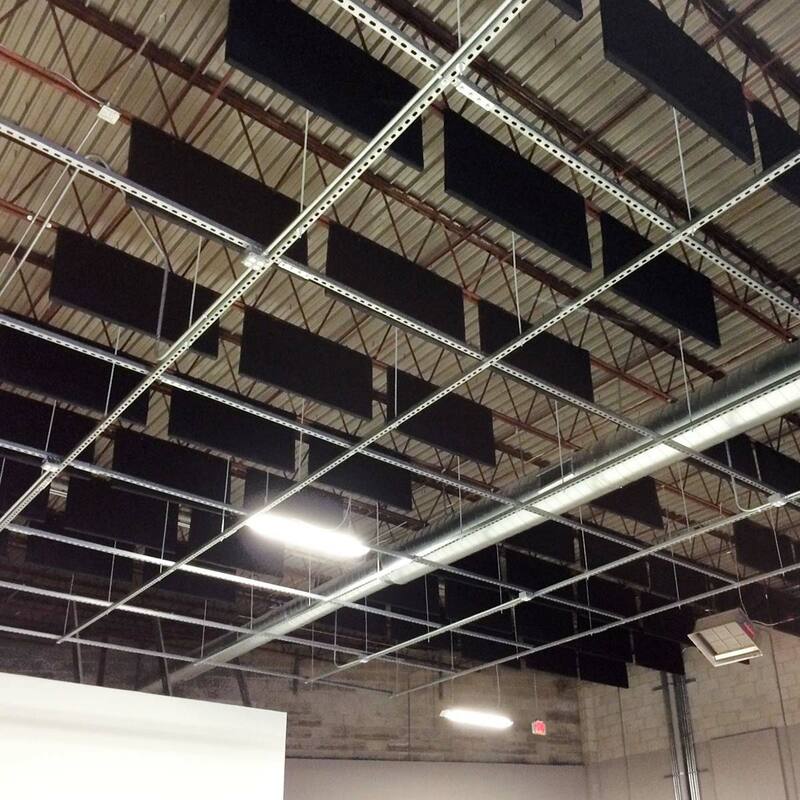 Because of their vertical suspension, they absorb sound more effectively than a material mounted flat to the ceiling. 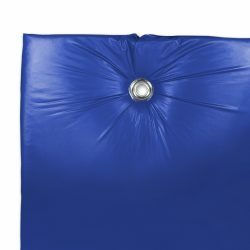 A two-sided suspended baffle has more square footage of exposed surface space, which provides more opportunity to catch and absorb the sound. Suspended materials, like baffles, also tend to have higher low frequency response and absorption. In the lower portions of the room, a fair amount of activity takes place. This includes filming, recording and conferencing with clients, talent and crew. Spang TV desired a material that would be acoustically functional, yet attractive. 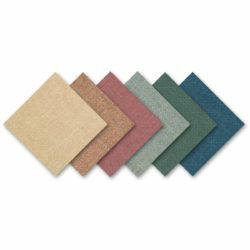 Acoustical Solutions recommended two inch thick fabric wrapped AlphaSorb® Acoustic Panels. 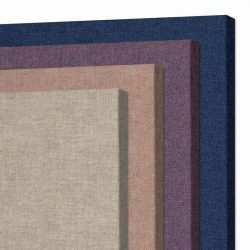 the 2-inch thick acoustical substrate provides maximum sound control and they are available in a range of sizes and colors. These panels were mainly installed in the space opposite the cyclorama wall, where most of the production would take place. 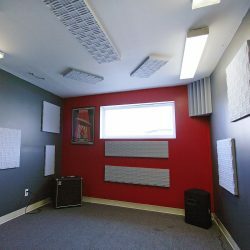 The AlphaEnviro® PVC Sound Baffles and AlphaSorb® Acoustic Panels have drastically lowered the reverberation time and improved the speech intelligibility of the space. Now the crews can effectively communicate with each other and the clients to capture the best quality film and audio. Setting up and running a production facility is complicated and requires lots of equipment and planning. 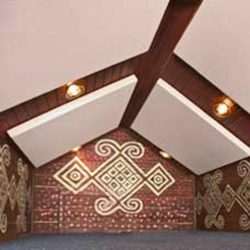 Acoustical Solutions helped manage the project from start to finish and provided lasting results.